Officials with the U.S. Department of Labor have ordered Pan Am Railways Inc. to pay out $50,000 to an injured worker for punitive and compensatory damages. They company is also required to take corrective action after being accused by the worker of lying after he filed a Federal Railroad Safety Act complaint with the department’s Occupational Safety and Health Administration (OSHA). 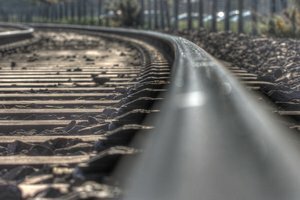 The employee, who works in the New England area, previously filed a complaint with OSHA (in December of 2011) and states that the railroad had subjected him to disciplinary action earlier in the year after he reported an unsafe work area and an injury. Shortly after the complaint was filed, the work was given a disciplinary hearing. The company believed that the employee made false and incorrect statements to OSHA. Such adverse action can intimidate employees from exercising their FRSA rights, even if the charge is later dropped, as it was in this case. Our Massachusetts workers’ compensation lawyers understand that workers have a legal right in the U.S. to file a whistleblower complaint with OSHA without fear of retaliation or discipline. When employers respond to these complaints with disciplinary actions and threats, it is completely unacceptable and illegal. In addition to the payout, the railroad company has also been ordered to expunge all of the filed and computerized information regarding the disciplinary action and the references to any of the hearings. The company is also required to educate workers about their FRSA whistleblower rights. Lastly, the company will have to pay reasonable attorney’s fees and compensate the worker for any benefits and wages lost because of required attendance at the disciplinary hearing. The Continental Congress enacted the first whistleblower protection law in the United States on July 30, 1778 by a unanimous vote. Under all of the laws that were enacted by Congress to protect workers, employers are not allowed to retaliate against workers who raise concerns about their work conditions. If you believe your employer has unjustly retaliated against you, then you are legally allowed to file a complaint with the secretary of labor for an investigation by OSHA’s Whistle-blower Protection Program. -Neglecting to rehire or hire. -Reassignment affecting prospects for promotion. Pursuant to most of these laws, discrimination complaints must be filed as soon as possible – within 30 days of the alleged reprisal. OSHA Area Office staff can explain the protections under the whistleblower laws and deadlines for filing complaints. Your best defense against all of this is to recruit an aggressive attorney that’s dedicated to your rights. You deserve a safe and protected work environment.